Deciduous compact bush with black stems. 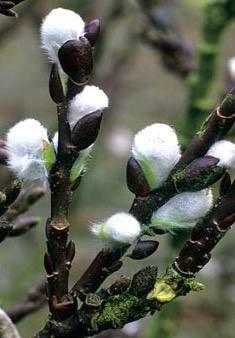 Black buds open and emerging silver white catkins, February to April to. Sun or semi shade. 1m tall.